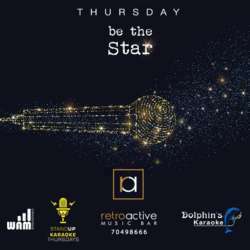 Retro is hosting us for another unique experience and this time its karaoke night! On Thursday, 28 February join InterNations Beirut for the February official event starting at 20:00. We'll start the evening off with some networking, all members will receive two welcome drinks. Then at 21:00 you can enjoy some singing and witness the competition! As many of you have asked for a karaoke night encore, we have selected Retro this month as they host one of the best karaoke nights. We hope to see many of you as this is a first time we'll be witnessing the competition.